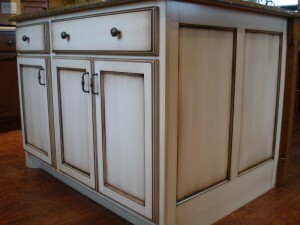 Have you given any thought to what you’d like your finished cabinets to look like? If not, a good idea would be to take a look on the internet for ideas and inspiration. Find colors or ‘looks’ that you think might work well in your home. 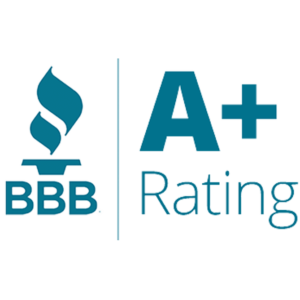 If you’re unsure or would like a second opinion, we can go over those together and narrow down which one might work best for your particular kitchen. Paint finishes have gained popularity in recent years for their crisp, classic styling and expansive color palette. Some homeowners select paint for their entire kitchen, while others choose it as an accent color for an island or a cook center. Various shades of white and neutral colors are popular for full kitchens, while intense colors tend to be selected for accent pieces. ** Please note that wood naturally expands and contracts with seasonal changes in temperature and humidity. 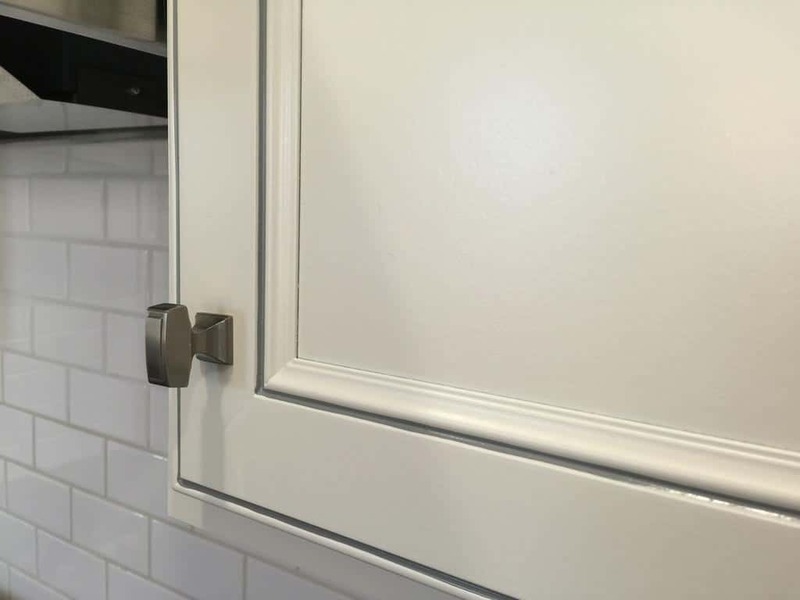 As wood moves microscopically at joints, this movement will be more apparent with painted finishes than stained finishes and will look like a small fracture or seam at the joint. 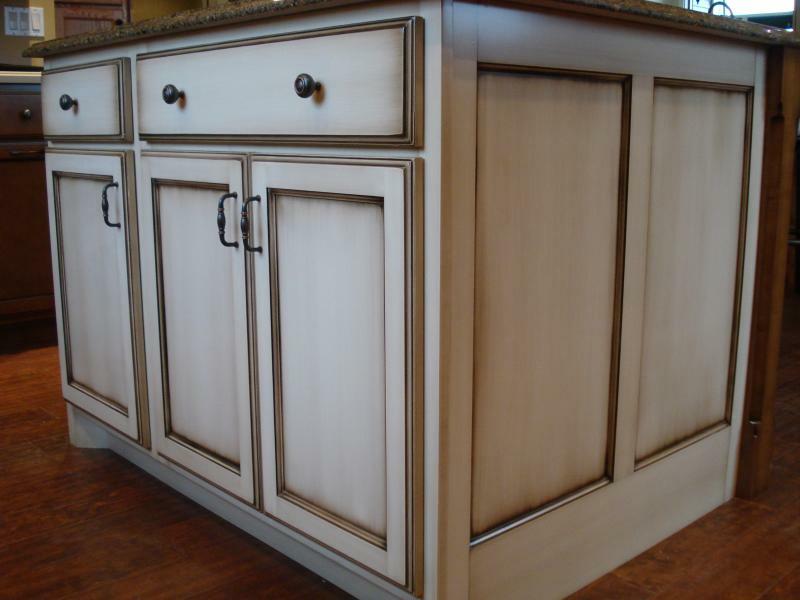 This is a natural characteristic of painted finishes on wood. 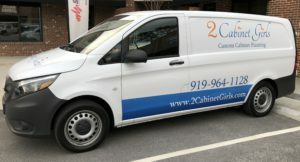 This option will help emphasize the features of the door. 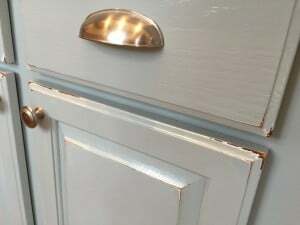 This finish will give your doors an aged patina. It can be applied extremely sheer, very heavy, or anywhere in between. Glaze is a semi-transparent color applied over the paint for added depth and dimension. The glaze is wiped off all flat surfaces but it creates a darkened highlight along profiles and corners to accentuate the details of the door. 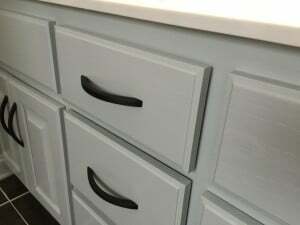 The glaze adds a subtle wash of color to the base paint color, darkening the overall color slightly and creating a subtle brush-stroked look. Glazing is an artistic, hand-detailing technique that will exhibit subtle variations with each application.